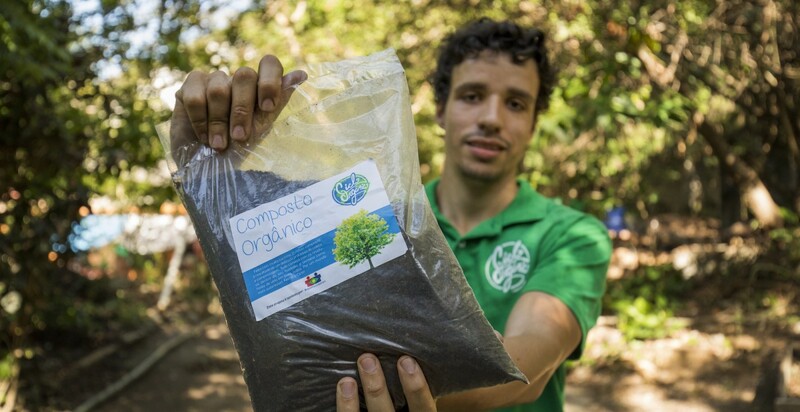 Ciclo Orgânico is a social enterprise that works with solid waste management in Rio de Janeiro contributing to the formation of a better society created by citizens who are more united, engaged and active. Through composting activities, the organization offers home collection services for appropriate disposal and reuse of the waste. They intend to implement a new composting unit, which will increase the processing capacity from 1 to 5 tons / day. In addition, they aim to simplify logistics and reduce operational costs. This will allow the project to expand service to more than 1,500 families, generate 7 new jobs and reach 900 tons of treated waste per year. • Disseminate information on composting in the urban environment.